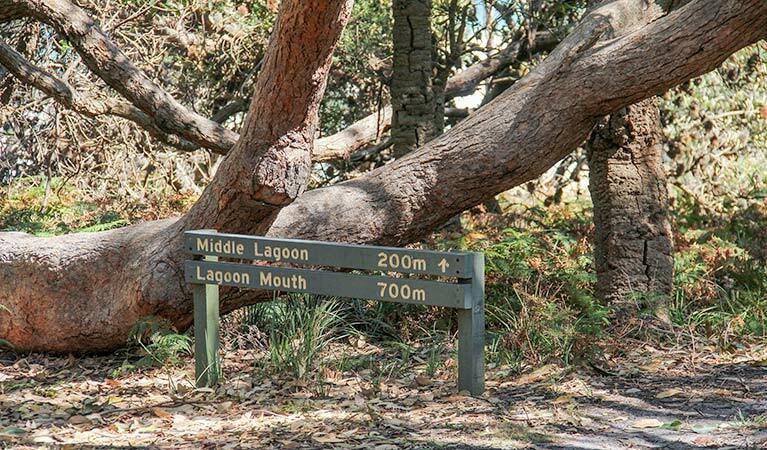 Middle Lagoon walking track, in Mimosa Rocks National Park, is a short walk through forest to a coastal lagoon where birdwatching opportunities abound. 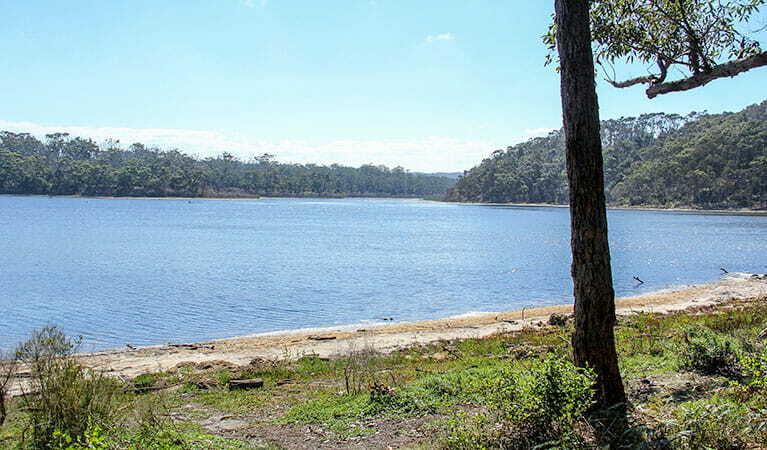 Strong rips and currents may be present at the beaches and estuaries within Mimosa Rocks National Park. For more information on staying safe at the beach, see our beach safety page. There are many patrolled beaches nearby, please see Surf Life Saving Australia. 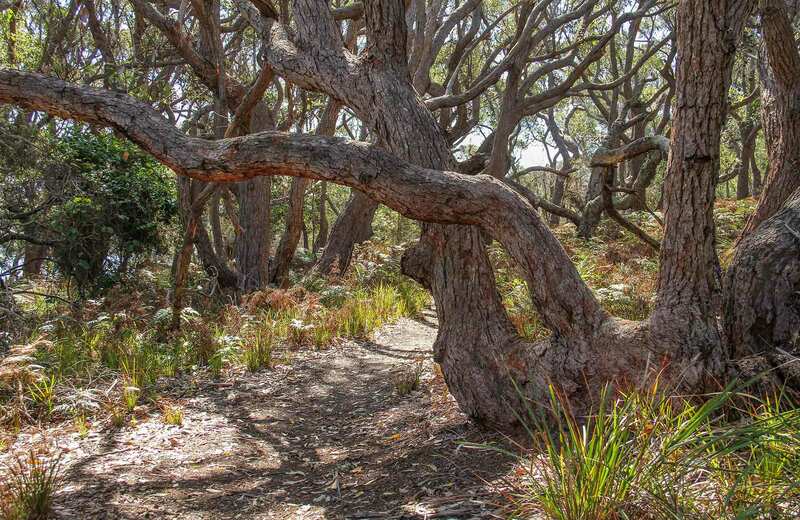 Middle Lagoon walking track leads through beautiful coastal bushland featuring the ancient burrawangs – a cycad that grows abundantly on the south coast of NSW. 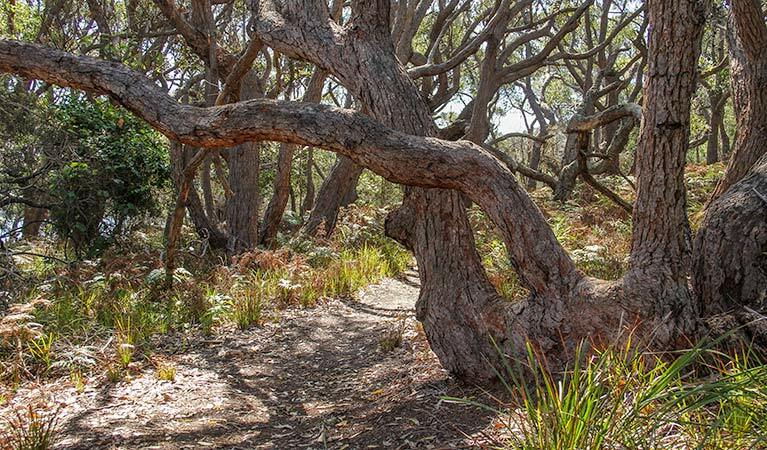 Just north of Tathra, this short track winds through a diverse range of vegetation to the shore of Middle Lagoon. It’s a great spot to bring the family or visitors to introduce them to the natural beauty of the region, with loads of wildlife and great birdwatching. Wallabies and kangaroos are often seen near the tranquil waters of the lagoon, as well as sea eagles, pelicans and black swans. When you reach the coast, enjoy a refreshing swim or surf. You might see dolphins frolicking in the waves, or perhaps whales during their annual migration. Retrace your steps and enjoy a leisurely picnic at the nearby tables, or if you’re tempted, stay overnight at nearby Middle Beach campground or Myer House.